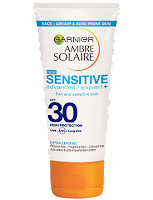 We have had a few lovely sunny days, its nice to see the sun finally beginning to come out, So I like to get out the suncream and start preparing for those warm sunny days ahead. 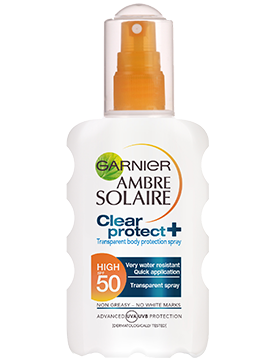 My go to suncream has to be Garnier Ambre Solaire -Anti-Sand Spray I love that it's easy and simple to use and has an SPF 50+, the spray releases a fine mist of sun protection which is easily absorbed into the skin. Great for on the beach as its sand resist. 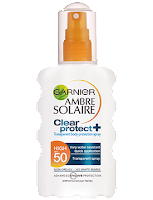 Clear Protect + Spray SPF50 - This transparent spray is non-greasy and non-sticky and doesn't leave any white marks, it's easy to apply and quickly absorbed into the skin. 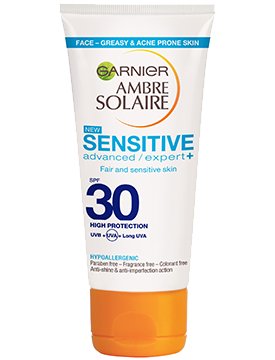 Sensitive Advanced Anti-Imperfection Protection Cream - This is Ambre Solaire's first anti-shine and anti-imperfection action protects your skin against the sun's harmful effects while ensuring up to 8hr mattified skin.